Click the buttons below to see photos from the conference. If you want to be on top of information about WROC# just visit regularly our web page, follow our profiles on Facebook and Twitter, or talk to our bot, who is ready to answer all your questions about the event. You can also sign up to the newsletter, and send questions directly to us through the contact form. We’re ready and waiting to help. 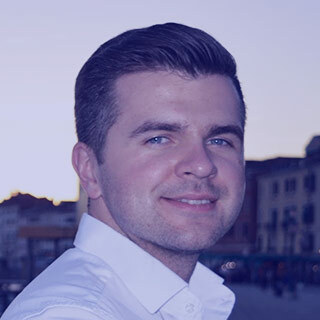 Scott is a Security Researcher and the founder of report-uri.com and securityheaders.io, security tools to help organisations better protect themselves. He spends time travelling the world speaking at events and delivering training on web encryption and security, building new startups and snowboarding. Zan Kavtaskin works as a Software Design Director for a software company called MHR, which is the industry-leading HR and Payroll provider in the UK. At MHR he is architecting the next generation multi-tenanted SaaS product, which is hosted on Microsoft Azure. 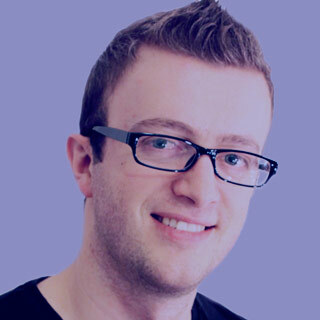 Prior to MHR, Zan was developing software for other industry-leading companies such as Experian, Royal Mail and Emirates. In his spare time, he loves to read, blog, contribute to open source and drink coffee. Zan’s blog can be found at www.zankavtaskin.com. 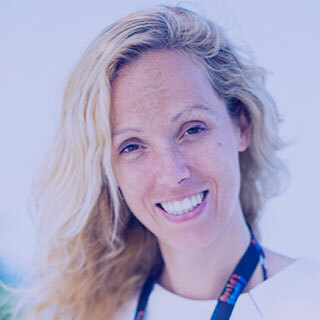 As Head of Software Development at the Dutch insurtech company ANVA, Kim van Wilgen is leading the transition to continuous delivery and a DevOps culture. She is building the learning organization that supports this while experimenting with new managerial concepts to support and grow team autonomy. Although a nerd at heart, she also has over a decade of experience in product management and comparable managerial roles on the business side. She can speak the language of product owners and users to bridge the gap between business and IT. van Wilgen is passionate about enabling organizations to be small at all levels and cultivating a culture that supports this. Together with agile thought-leader Sander Hoogendoorn, Kim is writing a new book titled "The Continuous Culture". 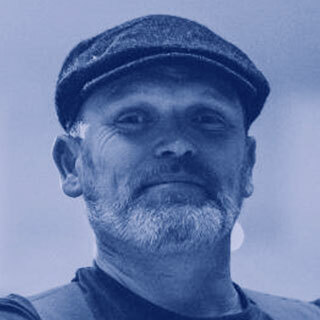 Glenn F. Henriksen is working as a mentor, an evangelist and a developer at Capgemini Stavanger in Norway. There, he gets to explore new tools, processes and technologies and continuously improve how he and his fellow developers work with code, tasks and projects. 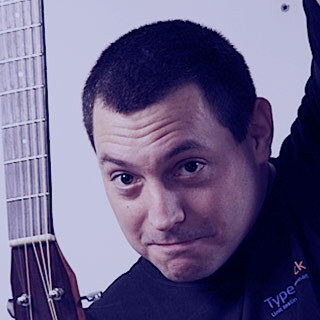 He has been a Microsoft Development MVP, a part of the Microsoft Regional Director program and is an Azure Advisor. In the past 18 years, he has co-owned a company, worked as a manager, a developer, an architect, know-it-all, a technical lead and more, but his favourite thing is still swapping code for food. Jakub Jędryszek works for Microsoft as Software Engineer. He worked on the Azure Management Portal – one of the largest and most advanced Single Page Web Application in the World written in TypeScript by over 500 developers. His current focus is the Azure Mobile App - lightweight iOS and Android app (built with Xamarin) providing Azure Monitoring and ability to take critical actions on the go. He is a founder of dotNetConfPL – online conference for .NET Developers. His blog is at jj09.net. Roy is a Consultant in all matters regarding DevOps, agility, test-driven development, and team leadership. Roy has been working in the software industry for 20 years and is the author of "The Art of Unit Testing" and "Elastic Leadership". He is currently writing his next book titled "Enterprise DevOps". He’s worked as a developer, an architect, a tester, a tech lead, Director and CTO in both small and huge companies. 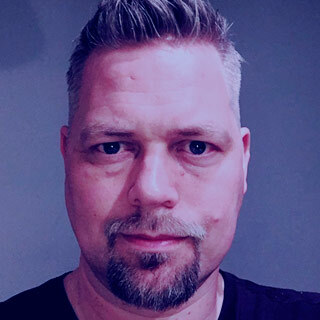 Sander Hoogendoorn is a dad, an independent consultant, software craftsman, coach, speaker, trainer, and writer. He is seasoned in agile, Scrum, Kanban, continuous delivery, (no) software estimation, agile requirements, design patterns, domain driven design, UML, software architecture, microservices, and both Java and .NET development. 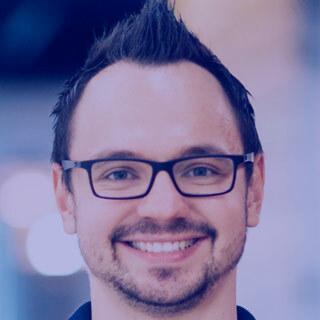 Sander transforms organizations and teams, coaching them to optimize their processes, practices, architecture, code and tests, currently doing so as Chief Technology Officer at ANVA. Sander is the author of best-selling books such as "The Continuous Culture", "This Is Agile", and "Pragmatic Modeling with UML". He is an inspiring (keynote) speaker at conferences, has presented hundreds of training courses. Distributed applications are now the norm. Distributed across servers, across data centers, and across clouds. On different platforms and by different teams. How do we connect all of these? It turns out that events are a good tool for this. Also, we're moving further up the stack to functions and lambdas, and "serverless" computing. These two things work very well together by enabling us to create powerful applications very quickly and with a minimum of ceremony. If you want to rapidly build a robust and scalable event-based backend, this session is for you. Glenn will teach you the concepts you need and show you how to put them into practice. Ever since we started writing code in the fifties of the previous century, managers and project managers have tried to discipline and structure the way we work. However, no matter how many consultants and coaches are hired to implement increasingly complex process frameworks and methodologies, developers and testers always come up with new simplistic approaches. 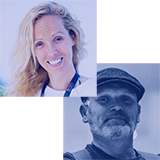 During this talk, Kim and Sander will feal with Flow: the worst software development methodology in the history ever, taking inspiration from the worst principles and practices from methodologies such as waterfall, RUP, Scrum, Kanban, Lean, BDD, LeSS , SAFe, Spotify and of course everything continuous. Don't let project failure take you by surprise, be certain! Designing for the cloud might seem daunting, because there are so many cloud services to choose from and so many ways to design your cloud application. The reality is that things aren't as tough as they might seem. We are all building different apps, but the foundations are largely the same. This means there are only a few key design decisions that you have to make, and you only need to use a few core cloud services to meet the majority of your requirements. The sane version of my talk title is 'Modern Security Standards'. During the talk we're going to cut through some of the crazy acronyms that seem to multiply like rabbits. Let's examine the awesome features we can use to easily and quickly boost security, and which we can also leverage to make our lives easier! Better performance, more control, and fewer errors are just some of the benefits you'll get. As managers, architects, and other types of technical team leaders, you usually study methodologies, practices, and techniques for delivering software. Often your learning leaves you a great desire to "change" how things work, but you soon discover that you’re "stuck". Stuck convincing your team to adopt particular practices. Stuck with too little time to learn how to implement these practices ("we don’t have time for unit testing"). Stuck with all the people-related aspects of leading a team. In this talk we will cover some of the essential skills and techniques for leading software teams, based on elastic and adaptive leadership principles. You will gain insight into the skills that make real change happen in your team, and how to transform the team you have into the team you want. Learn about the three basic team modes: Survival mode, Learning mode, and Self Organization mode. Learn how to understand which mode your team is in right now. Learn how to start changing anything by understanding why people behave the way they do and grasp the six influence forces that affect our behaviour. This is not another run-of-the-mill Xamarin tutorial; in this talk we discuss how we built a real-world mobile app with Xamarin, from zero to the App Store and Google Play. We share what we've learned building the Azure Mobile app, as well as Xamarin project architecture, UI testing with Xamarin Test Cloud, and CI/CD with Visual Studio Team Services and Hockey App. Every project has its dark side: there are a lot of mistakes we have made and learned from. Get key insights, tips and tricks gained from the project, which will hopefully save you time when working on your own projects. Want to learn more? Eager to ask our guests a question? Here's your best chance! 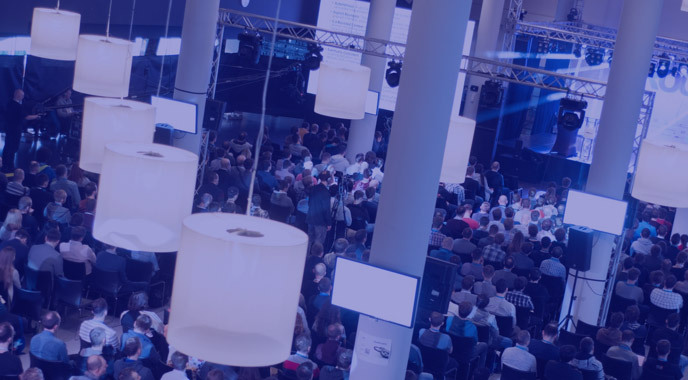 The WROC# conference is a unique occasion for industry specialists, .NET enthusiasts, and anyone thirsty for knowledge to get up close and personal with experts. Our goal remains unchanged – we want to bring together bright minds and give inspiring talks on the issues .NET web developers care about most. Come and listen to world-class speakers delivering priceless remarks. Attending WROC# is a guaranteed knowledge upgrade and a fantastic opportunity to share experiences with other members of the IT community. This year we’re putting together our 4th edition of the event. 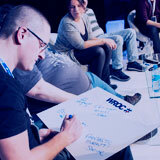 In each of the last three years, the WROC# conference attracted over 450 participants to Wroclaw. Each conference consists of six 60-minute talks on various aspects of programming plus a discussion panel. We have had the pleasure of hearing outstanding speakers like: Shawn Wildermuth, Tess Fernandez, Steve Sanderson, Julie Lerman, Ian Cooper, Dan North, and many more. 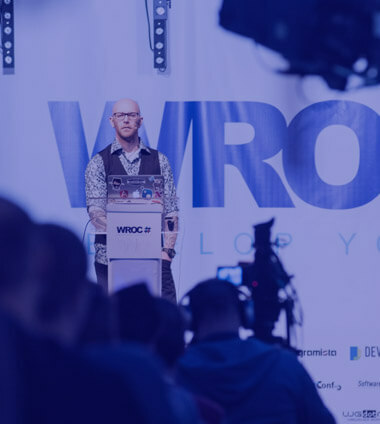 The topics on the agenda at WROC# are always diverse – Azure, Security, Angular, and microservices, to name but a few. Conference tradition dictates that after the fruitful presentations we invite our guests to join in a party full of delicious food, specially brewed WROC# beer, and fun. Don’t miss out this year’s event – come spend a day full of knowledge with us! Shawn Wildermuth put it nicely: “Poland and Wrocsharp were awesome!” That should be all the convincing anyone needs! Now just get on the ball and be ready when registration time comes. But you’d better be alert and quick – the tickets for our last edition disappeared in… five minutes! We can’t wait to see you there, and make sure you follow our event updates on Twitter and Facebook. Still not convinced?!? Check out previous years of WROC#! Did you miss the past editions of our event? No problem! We’ve prepared some great material for you to watch. Expect even more goodness on the 9th of March 2018.